We’re starting to see more SSDs that use triple-level cell (TLC) NAND technology. TLC can store three bits per cell. By comparison, one bit single-layer cell (SLC) SSDs offer the best performance at the cost of higher prices and lower capacities, and multi-level cell (MLC) SSDs store two bits per cell. 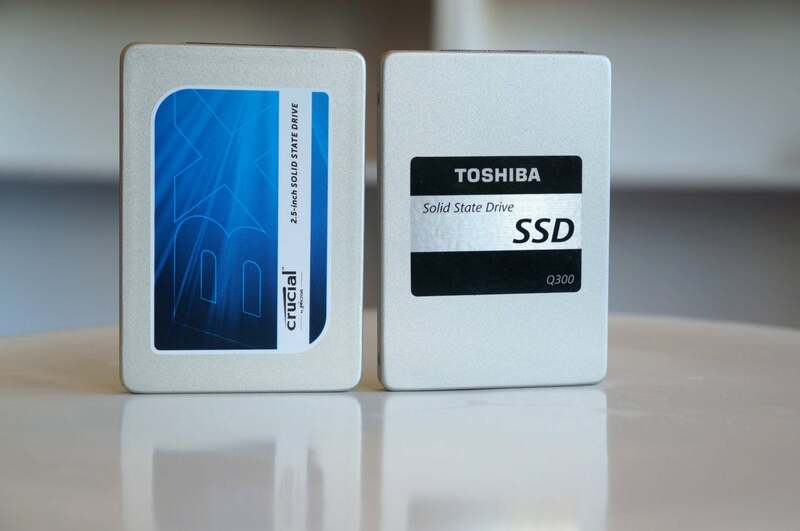 ... TLC drives offer greater data density, in other words, which in turn can be used to increase the capacity of SSDs, or offer standard SSD capacities at lower prices. But TLC’s sustained write performance is comparatively poor—in some cases exceedingly. If you move large amounts of data, transfer speeds for these drives can fall off a cliff once you’ve exceeded the SSD’s cache. The problem isn’t universal, and it won’t matter if you don’t move big batches of files, but storage makers don’t advertise this potentially crippling SSD problem. At the point where a robot or AI is responsive to your personal needs and highly personalized, there likely will be some emotional connection between robot/AI and you. Yonck says someone could actually become grief stricken at losing such an intelligent agent which was knowledgeable about them personally. “If that was to go away, it could be traumatic,” he says, perhaps akin to losing a pet. As we age, then, robots may be in our future. At elder-care facilities, robots could assist human staff, perhaps deliver meals and medication, maybe even provide companionship by reading stories or playing games. In the home, personal robots might offer reminders to take prescriptions, monitor your health, make phone or video calls for you and summon help in an emergency. These are good uses for this burgeoning technology. Two big AI advances have changed online searches -- and search engine optimization: voice search, and Google's RankBrain. Innovations like the Amazon Echo, Google Home, Apple's Siri, and Microsoft's Cortana make it easier for people to conduct searches with just the press of a button and voice command. That means the terms they're searching for are changing, too -- now, instead of typing in "restaurants in Boston," users can ask a device, "where should I go to dinner tonight?" RankBrain is Google's machine-learning algorithm that was created to deliver more relevant search results. It interprets queries and, using the power of AI, serves up the best possible results according to what it interprets from the language. For example, if you searched for "president" on Google in the United States, RankBrain might interpret that you wanted information about the current president and would serve you information about the individual -- and not just the office of government. Mobile seems to be the holy grail of marketing this year, social is more imperative than ever, and multi-channel and omni-channel strategies are expected of every retailer who wants to keep up with today’s consumers. Just as notable, where real-time and instantaneous messaging were once considered to be the answer to every marketing situation, retailers must now strive to take personalization a step further and implement strategies to market to a consumer at the RIGHT time with the right message and through the right channels – which is the concept behind Right Time Marketing. So while you may not have a crystal ball to always determine the best strategy for each customer and prospect that interacts with your brand, the right blend of marketing data, technology and analytical solutions can get you close to just the right answers. By 2019, mobile malware will comprise about 33 percent of all malware reported in standard tests, up from 7.5 percent today, according to Gartner’s August 2017 “Market Guide for Mobile Threat Defense Solutions.” Though iOS devices aren’t immune from malware, “The mobile malware threat is primarily coming from Android,” said Dionisio Zumerle, research director at Gartner. The threat should be a concern for all companies with Android users, he said—especially those with large fleets of Android devices or that are in high-security verticals such as finance, healthcare, and government. 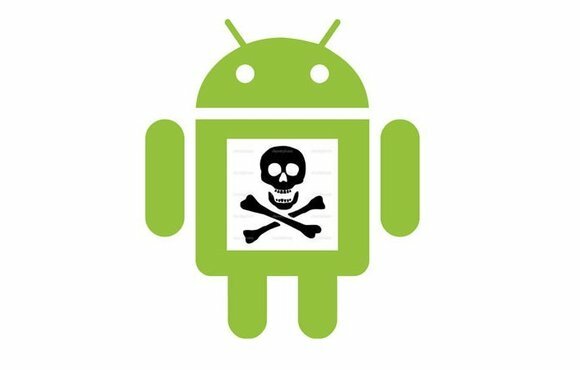 Android malware is getting more sophisticated, too. Consider DoubleLocker—Android ransomware that IT security firm ESET recently detected. DoubleLocker is capable of changing a device’s PIN, preventing users from accessing their devices. It can encrypt the data on the device. The risk of poor IoT security isn’t limited to renegade vacuums, however: even as home video cameras and other appliances are relentlessly probed for vulnerabilities, the risk of vulnerabilities in medical devices or industrial-control sensors – which could potentially cause injury or death – have let to prioritisation of the need for urgent improvements as IoT reshapes the future of device security. LG Electronics responded quickly to the Check Point alert, remotely updating what LG manager of smart development team Koonseok Lee said in a statement was “an advanced rooting process designed to detect security issues”. The patched and updated SmartThinQ kernel has been running “smoothly and issue-free” since then, Lee said. This seemingly smooth patch process belies the experience of most IoT device makers, which have been notoriously lax on security in their devices. While the various scaled frameworks provide a useful framework for the quarterly big room planning, where all teams and stakeholders get together for a couple of days, and while most organizations know how to do sprint planning, many struggle with getting 100% ready for the big room planning. This is where scaled planning with 1. slicing and 2. master planning comes in. ... Perhaps you might think you have it in place, and then you start planning and developing, and find out that actually you did not have a deep enough common understanding. What I’ve learned over the years is that the only way to find out if you’re actually ready for planning and developing is by starting planning and developing. And chances are the first time(s), you’re not ready. That’s okay, or at least it is very normal. Then you know that for next time. You have learned something. First and foremost, not everyone has a law degree—a requirement to understand the legalese rampant in privacy policies. Another reason is the cost. My TechRepublic article Reading online privacy policies costs us $781 billion per year was written in 2012; one can imagine what the amount would be today. ... Unfortunately, things have gotten worse. "People are confronted with terms of service agreements and privacy policies all the time," writes Florian Schaub, assistant professor of electrical engineering and computer science at the University of Michigan, in The Conversation column Nobody reads privacy policies - here's how to fix that. "Regulations requiring these notices aim to ensure that consumers can make informed decisions, but current privacy policies miss the mark." Cyber threats aren’t going anywhere and you can’t have a complete picture of risk if you don’t understand your organization’s security stance. If the CFO doesn’t work closely with security colleagues, cybersecurity investments will not be aligned to business objectives, and may fail to protect the company’s most vital assets and mitigate the risks that carry the highest damage potential. A McKinsey-World Economic Forum study of cybersecurity risk management practices found that “Senior-management time and attention was identified as the single biggest driver of maturity in managing cybersecurity risks—more important than company size, sector and resources provided.” Cybersecurity performance and ROI can’t be measured the same way that revenue and operating costs can. Experts and CIOs agree that effective IT strategy begins with an IT-informed business strategy. CIOs must be intimately involved in the creation of those documents and other artifacts that provide direction about what the enterprise needs to do, why it needs to do it, and how it will accomplish that. Only then can IT leaders build their own functional plans to support business strategy. “The plan is about understanding where to make investments and what capabilities the company will need — the people, partners, processes, and systems required — to do that,” says Fenwick. When done well, IT strategic planning can be a powerful tool, setting the company up to realize key business goals and outcomes. But CIOs must be willing to embrace new approaches to planning that are more business-driven, flexible, and frequently revisited.